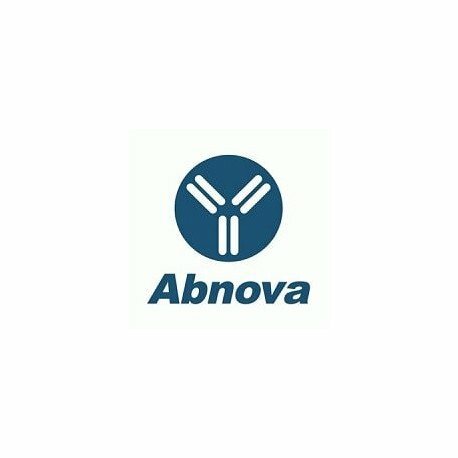 Product description: Rabbit polyclonal antibody raised against synthetic peptide of DAXX. Immunogen: A synthetic peptide corresponding to amino acids 272-291 of human DAXX. 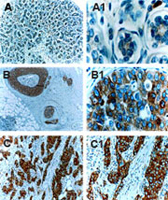 Application image note: Immunohistochemical analysis of DAXX in paraffin-embedded formalin-fixed human mammary gland (female breast) using DAXX polyclonal antibody (Cat # PAB0254) at 1 : 2000. A, normal breast tissue. B, ductal carcinoma in situ (DCIS) . C. invasive neoplasia. DAXX expressed increased sucessively with tumor progression. Hematoxylin-eosin counterstain.